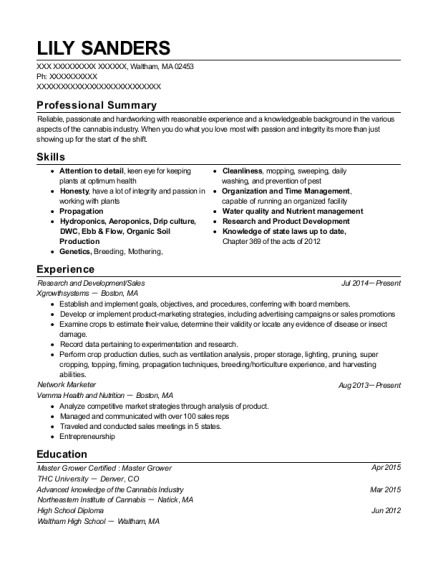 Seasoned Sales Professional with more than 13 years of experience in fast-paced Advertising Market. Excellent communication and listening skills. Track record of achieving exceptional results in helping clients advertise in multi media forums and customer service in business to business accounts. 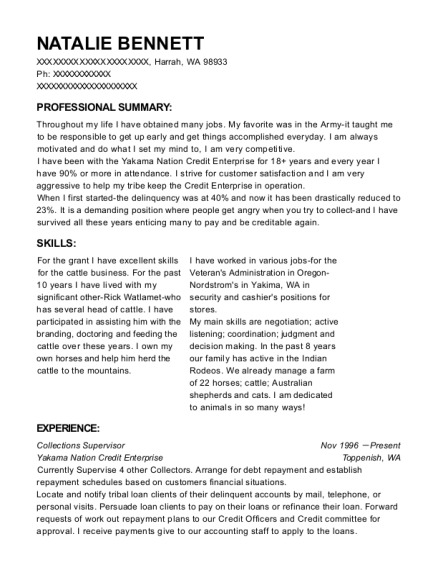 This is a resume for a Network Sales Representative in Yukon, Pennsylvania with experience working for such companies as Trib Total Media and Sony Electronics. 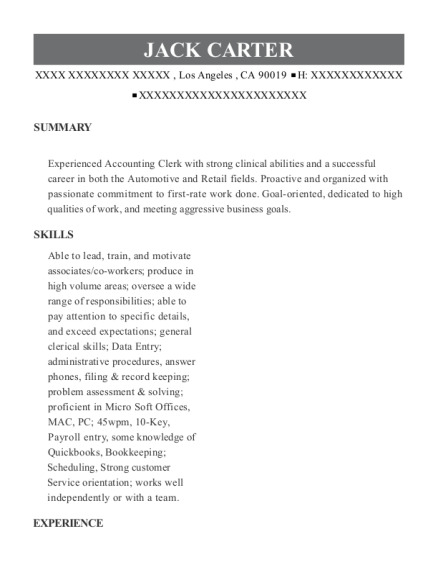 The grade for this resume is 0 and is one of hundreds of Network Sales Representative resumes available on our site for free. 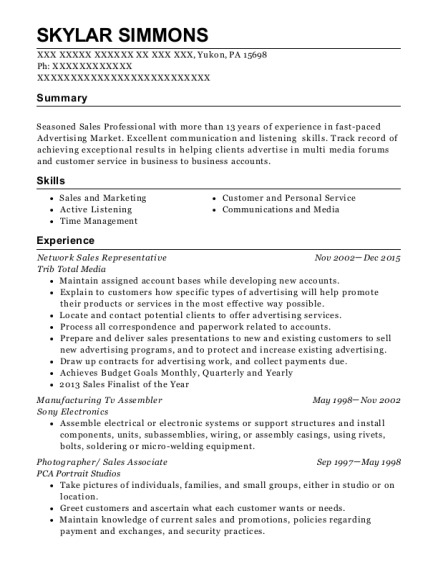 Use these resumes as templates to get help creating the best Network Sales Representative resume.